Mundelein College, Chicago. Dr. Chas. 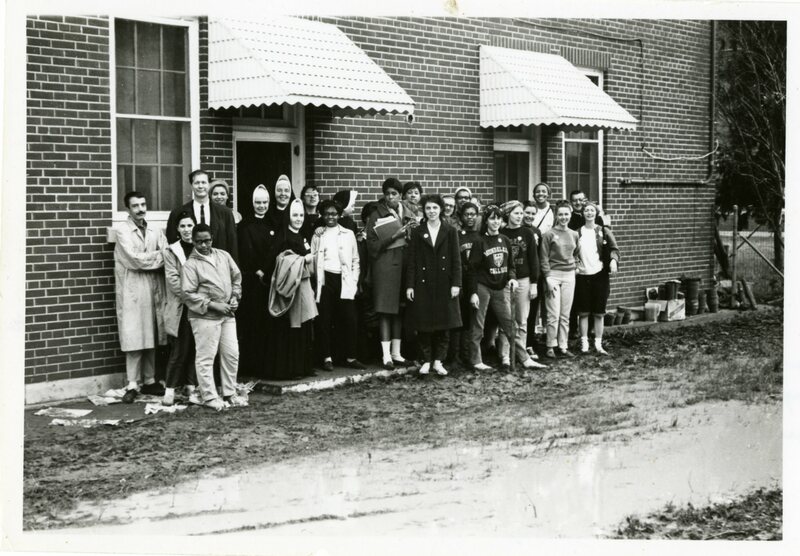 Abildgaard, Mrs. Milton Mozen, Mr. Joseph Scheidler, Sr. Mary Georgia, BVM, Sr. M. Ignatia Griffin, BVM, Sr. M. Sharon Rose, BVM, Sr. M. Donatus, BVM, Rev. James H. Mullaley. Travel: Selma Freedom March, 1965. Mundelein College Photograph Collection. “Selma March, 1965,” Loyola University Chicago Digital Special Collections, accessed April 26, 2019, http://specialcollections.luc.edu/items/show/942.